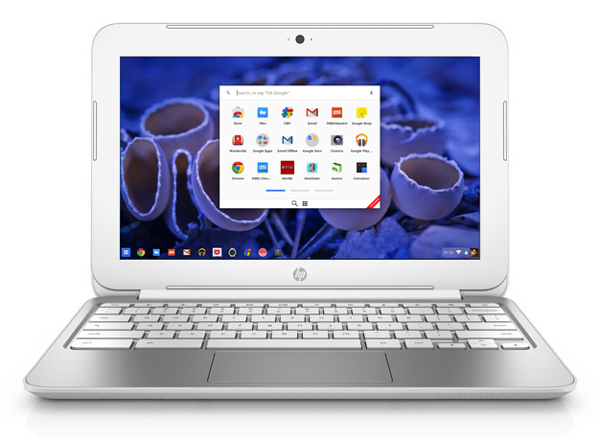 HP has announced a refresh to their popular 11-inch Chromebook and the introduction of their first Android-powered notebook, the HP SlateBook 14. The new HP Chromebook remains sized at 11.6-inches swapping the generous 176° viewing angles afforded by the IPS display of the previous model for a standard backlit LCD. Some slight hardware changes include a Samsung Exynos 5 dual-core ARM processor clocked at 1.7 GHz with 2GB RAM and a 16GB eMMC flash drive for storage. All sitting in a new, smaller, chassis used by its larger 14-inch Chromebook. There should also be a marginal improvement to the battery, up by about half an hour. It’s hardly going to stop the presses however, it might be enough for the popularity to continue especially with the stylish design. HP also announced the SlateBook. This is one of two Android based notebooks to be released this year, the second being the Arcbook by Archos. 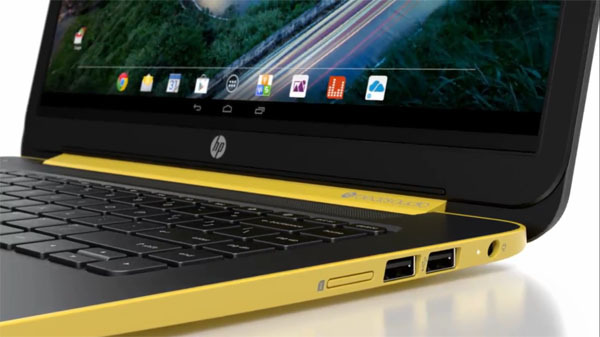 This device is powered by a Nvidia Tegra 4 quad-core processor, features 1GB RAM and a 16GB eMMC drive for storage. 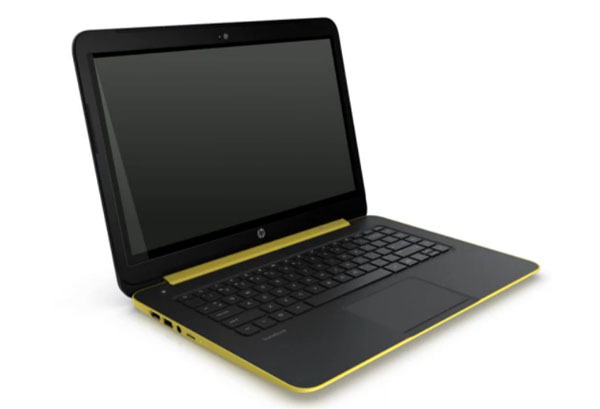 This combines a 14-inch touchscreen with a traditional notebook form factor in addition to running Android 4.3. The Slatebook will arrive in with a black shading with a hint of yellow. Other colours are sure to follow as we have heard tell of a pink one in the wild. The newvHP Chromebook 11 has an expected release date of July in the US with a price tag of $279.99 (or $249.99, depending on which press release you read). The Android-based HP SlateBook 14 launches on July 20 with a absurd starting price of $399.99 for 16GB, going up to $429.99 (32GB) and $459.99 (64GB).